Tie the two ends of the cloth behind the neck, as shown at left. 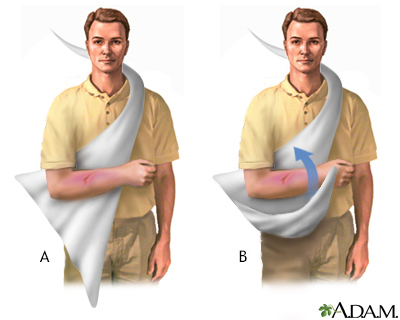 Pin the remaining elbow corner up onto the body of the sling. 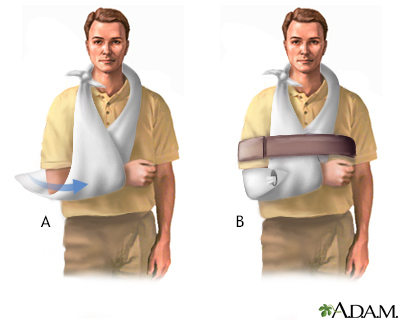 Use another bandage, a belt, or a strap/webbing to secure the arm to the chest, as shown at right.